Can you transfer dinos from previous private server? Me and my husband are transferring here for a new start from our other private server. 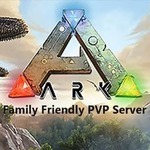 Are we able to upload are dinos from our private server? Might be worth noting, we had mods using Valhalla map and this way like 5 months ago. I was at the obelisk and could not see them. Any info would be great! Happy to be here thanks! Sorry we do not allow any uploads of anything outside our servers. The only server you can download to and from is our scorched earth server.